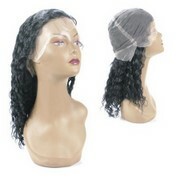 Full lace cap wigs without any stretch do exactly what it says on the tin – made completely of lace and nothing else. Wearers who choose this type of lace wig cap construction like the fact that it sits more closely on the crown and back of head (more snug). As it’s made entirely of lace, the measurements are really important so the lace cap measurement match your measurements perfectly. The exacting measurements means that full lace wigs without any stretch are usually for custom-made full lace wigs as opposed to the standard “in-stock” (ready for immediate dispatch) full lace wigs that come with stretch. Full lace wig caps without any stretch tend to be used by more experienced lace wig wearers, those with significant hair loss and those who are only seeking custom-made full lace wigs with unique colours and lengths. 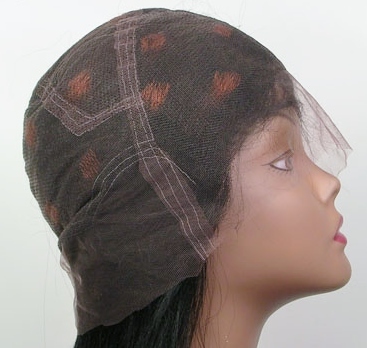 Head measurements for this type of cap construction have to be accurate as the lack of any stretch material means that there is absolutely no give. The development of different cap constructions for full lace wigs has been a somewhat slow burning affair but the growing popularity of lace wigs naturally meant the development of different cap styles in recent years. It's easy to be enticed into all sorts of options for your full lace wig construction, without really knowing whether you need (or even want) all the bells and whistles. The Top Tip for finding your way through the thicket of full lace wig cap designs is to decide: what it is you need, what it is you want and then choose your full lace wig cap construction; after all, it's going to be the hair that you wear.